Pueraria Mirifica has been shown to increase collagen production in the skin. This increases skins firmness and elasticity making it appear more youthful. This explains why many high-end anti-aging cosmetic lotions incorporate Pueraria Mirifica in its formula. 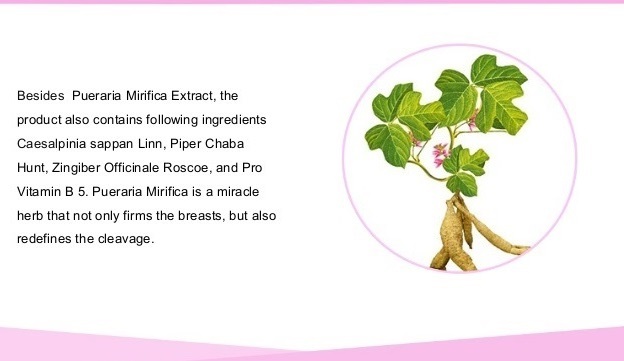 Also, the collagen increasing properties contribute to Pueraria Mirifica’s ability to make breasts firmer.